I know everybody has been using the older Road Glide air shocks with much success. 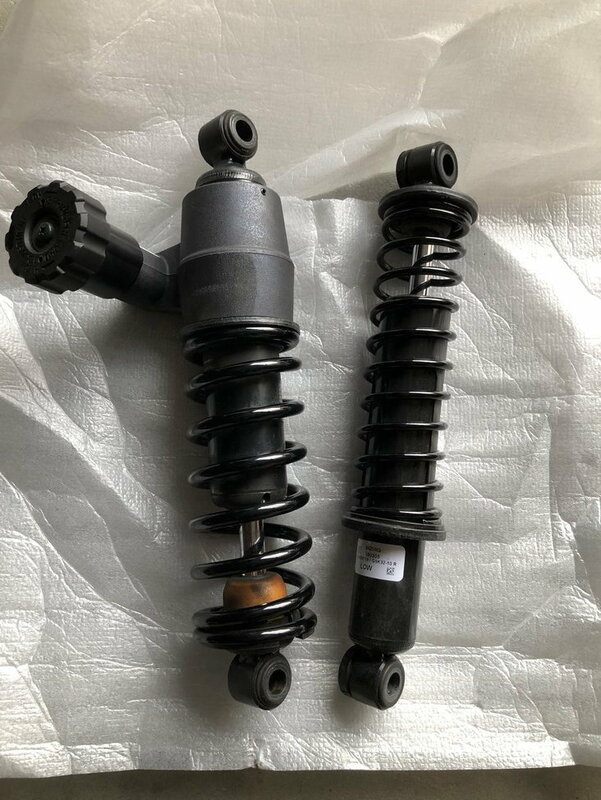 What about these adjustable 12" shocks from the newer (2017-2018) Road Glides? From what I've read they have a better ride than the air shocks. My concern is whether or not there's space for that adjustment know. Anybody have any experience? On a Bagger some feel they get a better ride out of these, myself included. However, on a Sportster they do not do so well. See Chart below. You can see a full Rear Suspension Report at this LINK. However, as you can see from the chart above, they are better than stock. But the take off air shocks from a bagger will do better on the Sporty. The adjustability is what caught my attention. Looks like the tried and true air shocks is what I'll be going with. Thanks for the info! That setup is standard on the 2017 SuperLow XL1200T. Preload settings from Owners Manual. 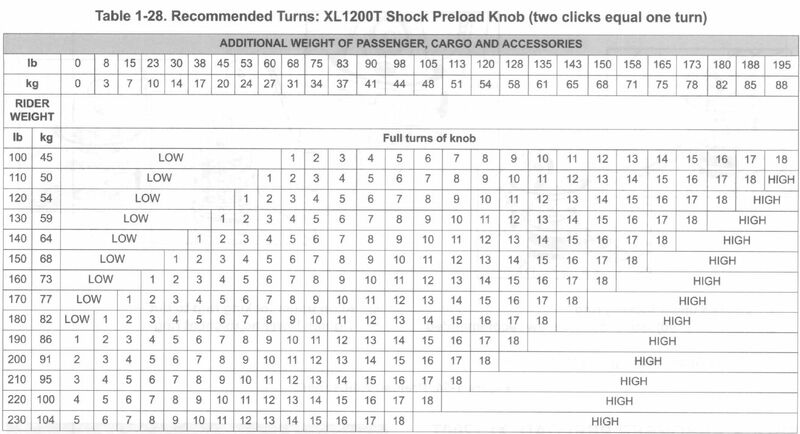 The way I interpret the settings is for a solo rider at 180lbs there would be no preload. So what happens if you weigh 130lbs? There is no adjustment and the suspension will probably have no sag so will bump up on a rough surface. Last edited by Andy from Sandy; Yesterday at 01:21 PM.